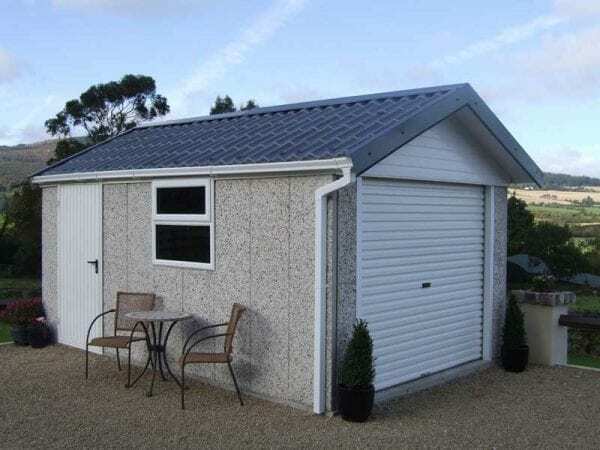 The Classic concrete building range is very popular with car owners as it features a lockable roller shutter door to the front. 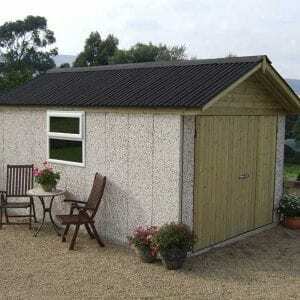 The main feature of the Classic range is the steal tile effect roof finish. 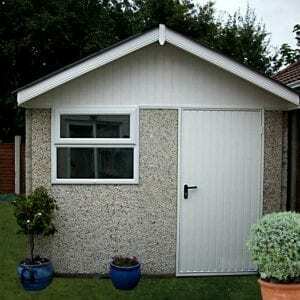 The roof fascias and gable ends are maintenance-free cladding board offering the owner a concrete garage/building that will last a lifetime and require no upkeep. 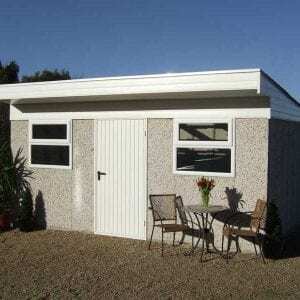 You also have the flexibility to add in additional side access doors and PVC windows. The classic range also includes PVC gutters as standard.